John J. Lane married Fannie Ramsdell, daughter of John Ramsdell and Lydia Hastings, in Nov 17, 1861. Abigail Proctor married Charles Hastings, son of Naaman Hastings and Lydia Whitney, in circa 1854. Rev. John Henry Houghton married Frances Amelia Hance in Jun 30, 1885 at Church of the Transfiguration, New York, New York Co., NY, USA. Alfred Ackers Houghton married Martha J. (?) in circa 1874 mar 26 years in 1900 census. Frederick F. Houghton married Margaretta E. (?) in circa 1894 mar 6 years in 1900 census. Clarence Houghton married Alice Broughton in circa 1890 mar 10 years in 1900 census; mar 17 y in 1910 census. Emma Julia Houghton married Arthur Ponsford in May 6, 1897 MLM: 1896. Frances Amelia Hance married Rev. John Henry Houghton, son of Capt. Alfred Houghton and Julia Ann Fenton, in Jun 30, 1885 at Church of the Transfiguration, New York, New York Co., NY, USA. Eleanor G. Houghton married Harry J Letts. Alice Broughton married Clarence Houghton, son of Edward Salmon Houghton and Julia Ann Fenton, in circa 1890 mar 10 years in 1900 census; mar 17 y in 1910 census. Arthur Ponsford married Emma Julia Houghton, daughter of Edward Salmon Houghton and Julia Ann Fenton, in May 6, 1897 MLM: 1896. Lucia Burgess Witters married Homer Edgar Powell in Apr 21, 1880. Homer Edgar Powell married Lucia Burgess Witters, daughter of Edgar A. Witters and Lucretia Burgess, in Apr 21, 1880. Henry Nathan Houghton married Bertha Ami Spencer in 1910. Henry Nathan Houghton married Abbie M. Ford in Jul 11, 1928 at Lebanon, NH, USA. Henry Nathan Houghton and Abbie M. Ford were divorced on Aug 5, 1930 at VT, USA, She initiated for for intolerable severity; Vol. 4, p. 163. Henry Nathan Houghton married Lila G. Lamphear in Apr 28, 1941 at Hartland, VT, USA, age 61, 3d mar. Hiram Woodbury Houghton married Irene Orcutt in circa 1904 mar 6 y in 1910 census. Flora Lysle Houghton married Emil Oliver Shjerden. 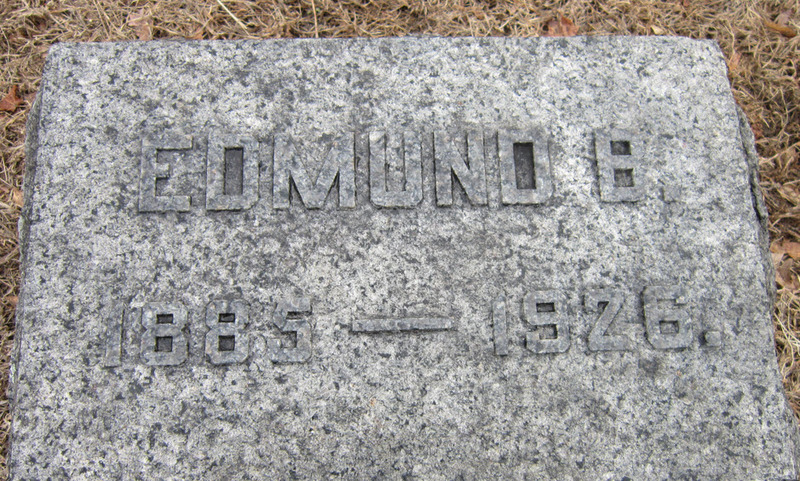 Edmund Bradley Houghton married Emeline J. Bouchard in circa 1910. Alicia Aspenwall Houghton married Ernest Wesley Crowfoot in Oct 21, 1908 at Lunenburg, MA, USA.